Sony Music will release the official 2010 FIFA World Cup album in Australia this Friday. The new charity compilation will feature music from a cavalcade of the music label’s artists including Wyclef, R.Kelly and Shakira. Proceeds from the sale of ‘Listen Up! 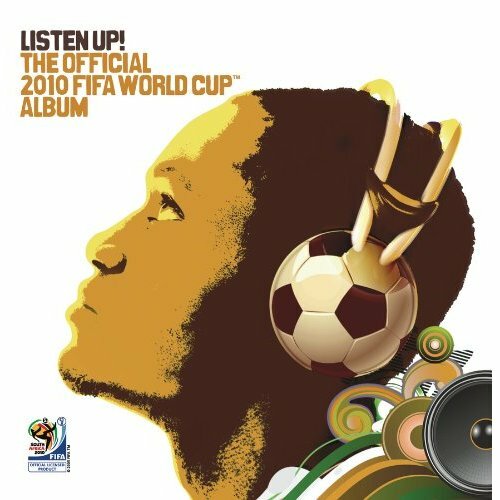 The Official 2010 FIFA World Cup Album’ will benefit FIFA’s ’20 Centres For 2010′ initiative, which aims to create 20 ‘Football For Hope’ centres throughout Africa. Shakira’s single ‘Waka Waka’ is there, along with the official 2010 FIFA World Cup anthem by R.Kelly, ‘Sign Of A Victory’, which features guest vocals from the Soweto Spiritual Singers. The 2010 FIFA World Cup kicks off in Johannesburg, South Africa on June 11.